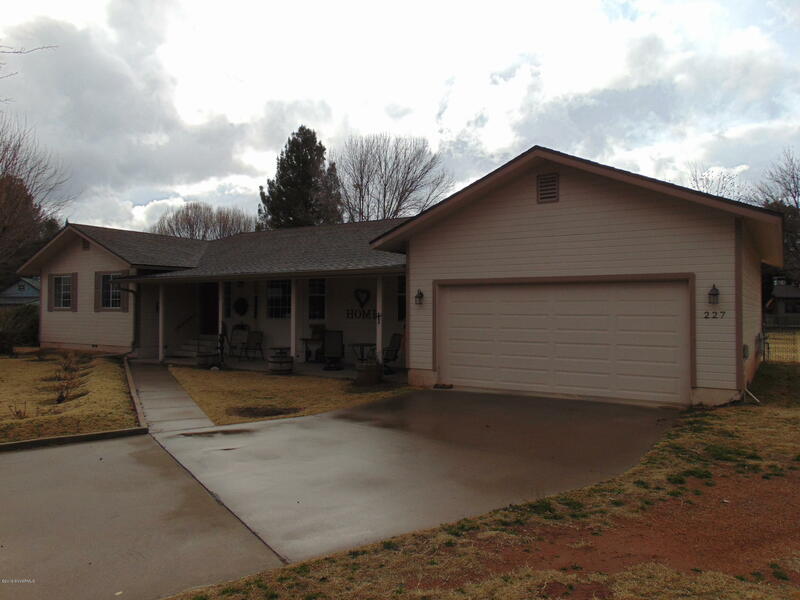 This is a well maintained home in the greenbelt of the Verde River within walking distance to downtown Camp Verde. There have been several updates to the interior which is bright and cheery with the use of a pastel color palate. The great room includes a bay window, and has the hookup for a wood or pellet stove. There is a formal dining room in addition to an eat-in kitchen. The kitchen stove is propane for the culinary expert in your family! Several rooms have top down bottom up window shades. The master bath, and guest bathrooms have been nicely updated. The yards are nicely groomed. Lot is flood irrigated, so there is lots of grass and mature trees. One of the trees is a nut producing pecan! RV parking available on the lot. Equipped with High efficiency, dual fuel furnace.